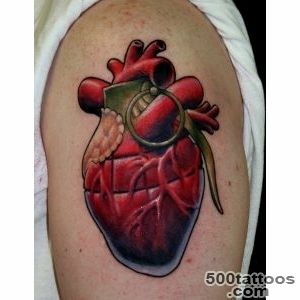 Quite often tattooed pomegranate make as realistic as possible : natural size, with all proportions. 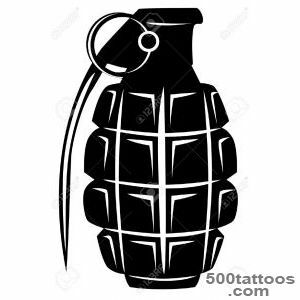 Treatment unambiguous : aggression, a potential threat. 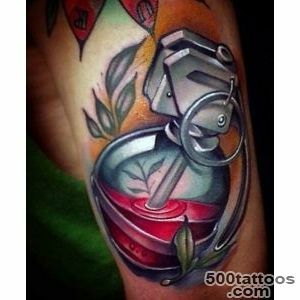 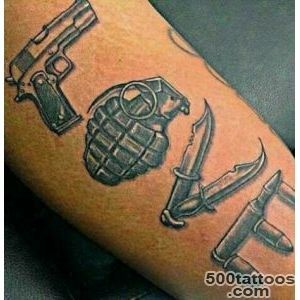 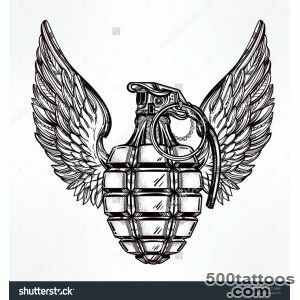 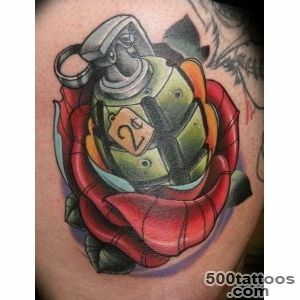 Pomegranate - a Military Tattoo, very often it is done by people who served in the army and thus preserve the memory of this period of his life.Also, with the image of the tattoo grenades can make people who like assault weapons, they are interested in military subjects. 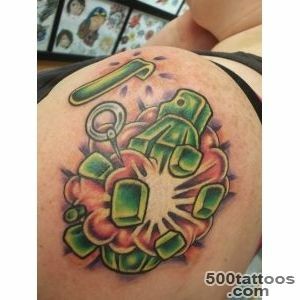 Due to the brevity of its forms tattoo garnet organically combined with other images.Meaning tattoo pomegranate quite transparent : it represents the explosive nature of the owner of the tattoo and the potential threat : a devastating explosion will happen in a matter of seconds, if the pull the pin. 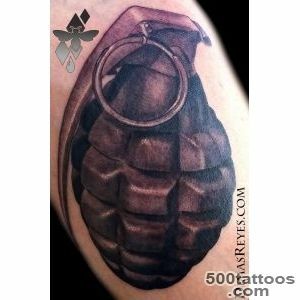 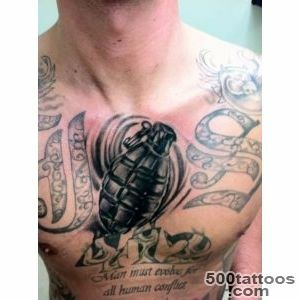 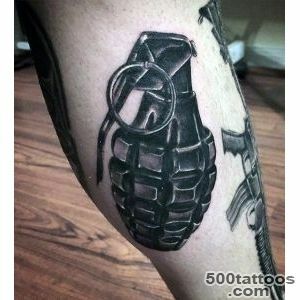 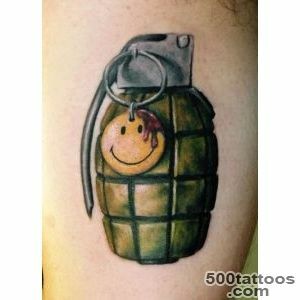 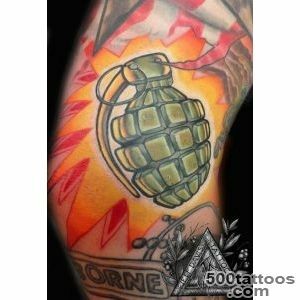 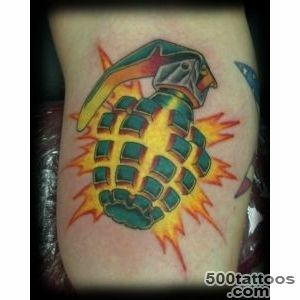 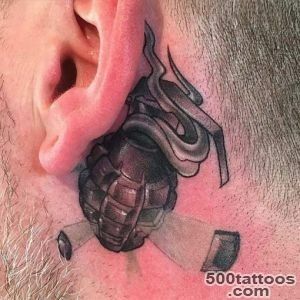 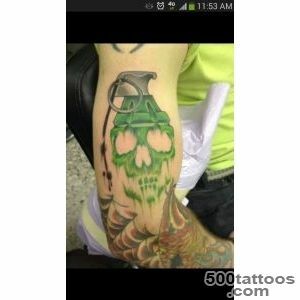 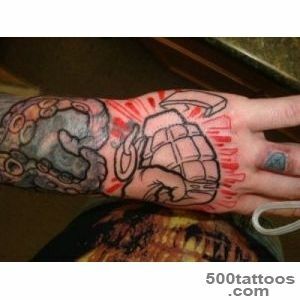 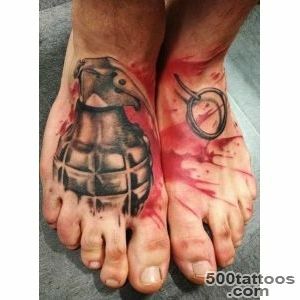 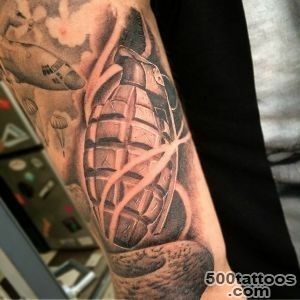 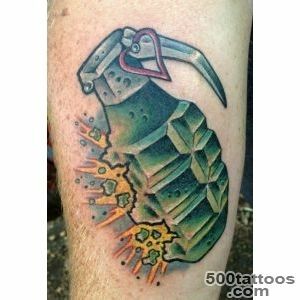 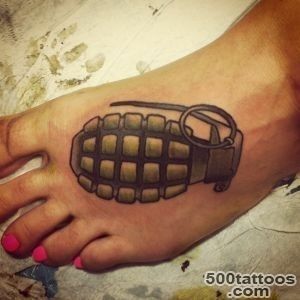 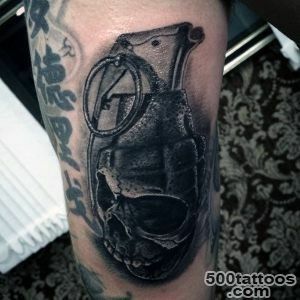 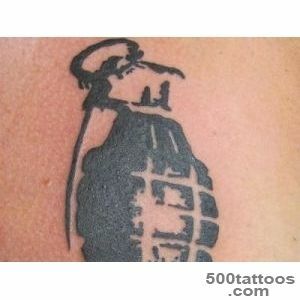 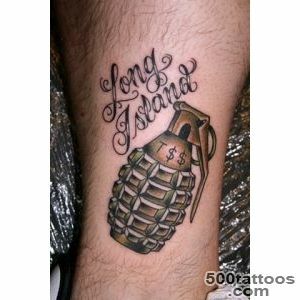 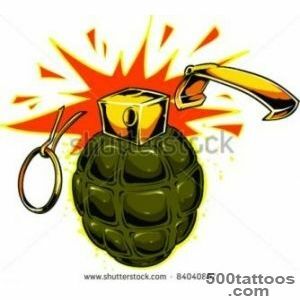 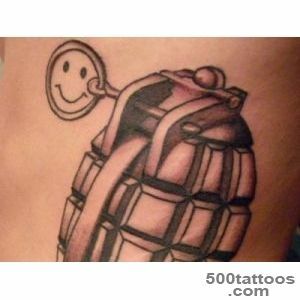 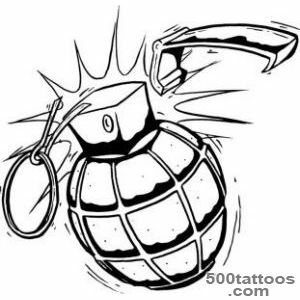 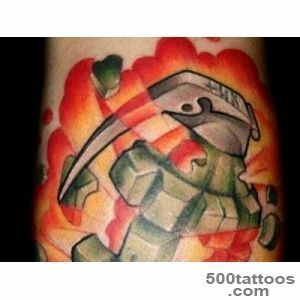 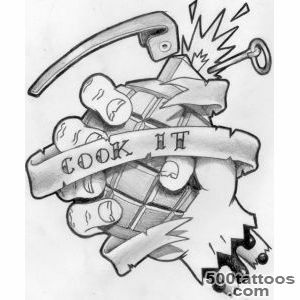 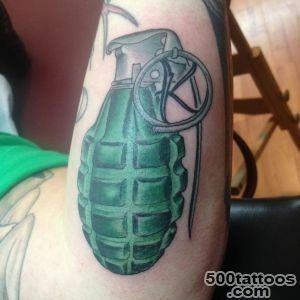 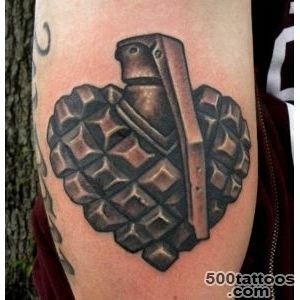 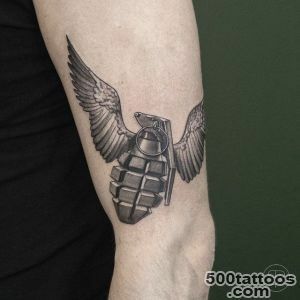 Therefore, it is often a grenade tattoo combined with the " warning " signs. 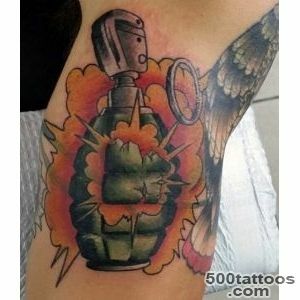 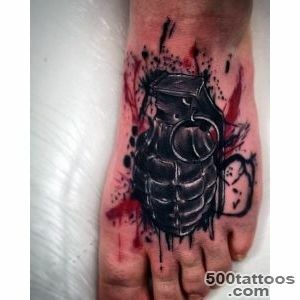 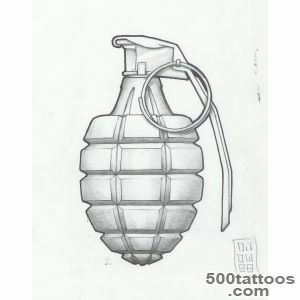 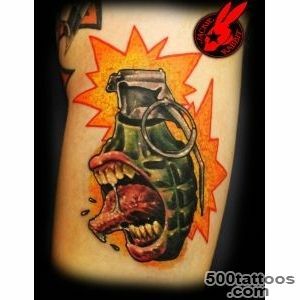 Quite often tatu-grenade made ​​as realistic as possible : natural size, with all proportions. 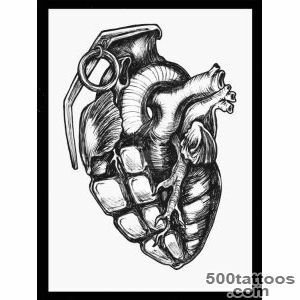 And it reads clearly : aggression, a potential threat. 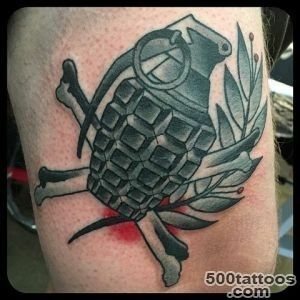 In Western culture is very common variation of this tattoo : check pomegranates decorated with flower (eg, chamomile ) and then the tattoo is positioned like this: ready for war, but appreciate the world. 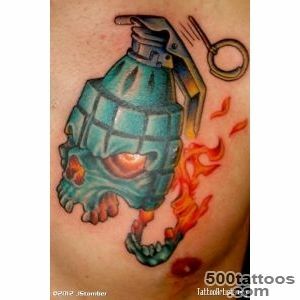 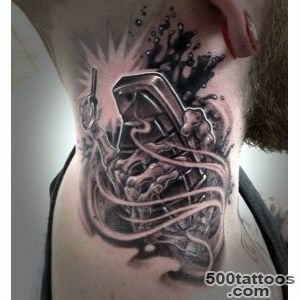 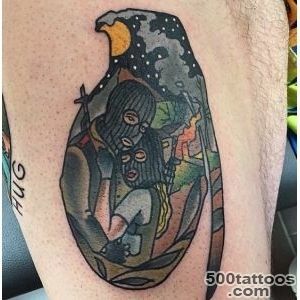 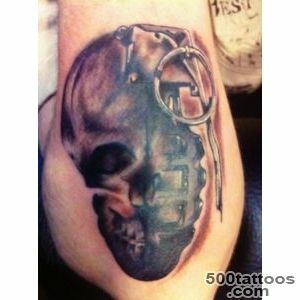 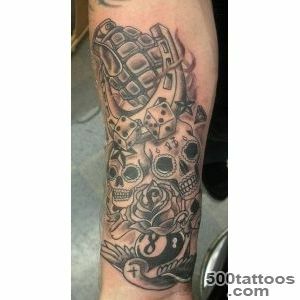 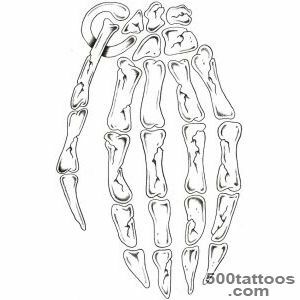 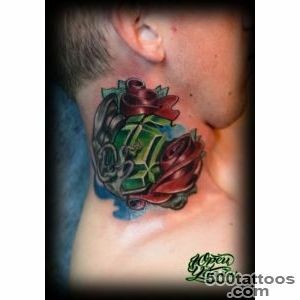 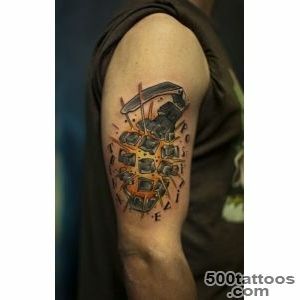 Tattoo-Grenade predominantly male tattoo, but then, of course, there is no strict rules.